The chemical name of Geranyl Acetate is [(2E)-3, 7-Dimethylocta-2, 6-dienyl] acetate. Geranyl acetate is also known as acetyl geraniol, bay pine oil and trans-geraniol acetate. Its molecular formula is C12H20O2 and its appearance is colorless to pale yellow liquid. The condensed liquid of Geroniol acetate has a slightly yellow color. Geroniol acetate is insoluble in water but soluble in alcohol and some organic solvents and its specific gravity is 0.890 – 0910 at 250C. Its refractive index is 1.457- 1.462 at 250C and it sweet rose, fruity and green note odor. It is used in fragrances for rose and tuberose odor and in lemon, orange, grapefruit and tobacco flavors. It has to be stored in tightly closed epoxy coated drums, aluminum or HDPE containers. Make sure that the containers are stored in a cool and dry place and make sure it is well ventilated. Avoid heat and light in the place where Geranyl acetate is stored. Geranyl acetate is a natural organic compound which is classified as a monoterpene. 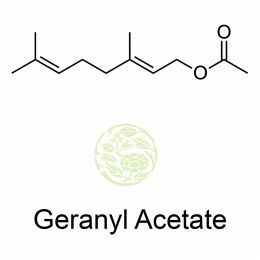 Geranyl acetate is a natural constituent in more than 60 essential oils like palmarosa, Ceylon citronella, lemon grass, petit grain, neroli, geranium, coriander, carrot, Camden woollybutt and sassafras. It is obtained using the fractional distillation method of essential oils. Geranyl acetate is an ester and it can also be prepared semi-synthetically by the simple method of condensation of the more common natural terpene geraniol with acetic acid. Geranyl acetate is used mainly as a constituent of perfumes for creams and soaps and also as a flavoring agent. It is used especially in rose, lavender and geranium formulations where a sweet fruity or citrus aroma is required. Biologically it is a plant metabolite which means any eukaryotic metabolite produced during a metabolic reaction in plants, which include flowering plants, conifers and gymnosperms. Symptoms of exposure to geranyl acetate include skin and eye irritation. It may cause eye damage and nausea through inhalation. When this compound is heated to decomposition it emits acid smoke and fumes of carbon dioxide and carbon monoxide. 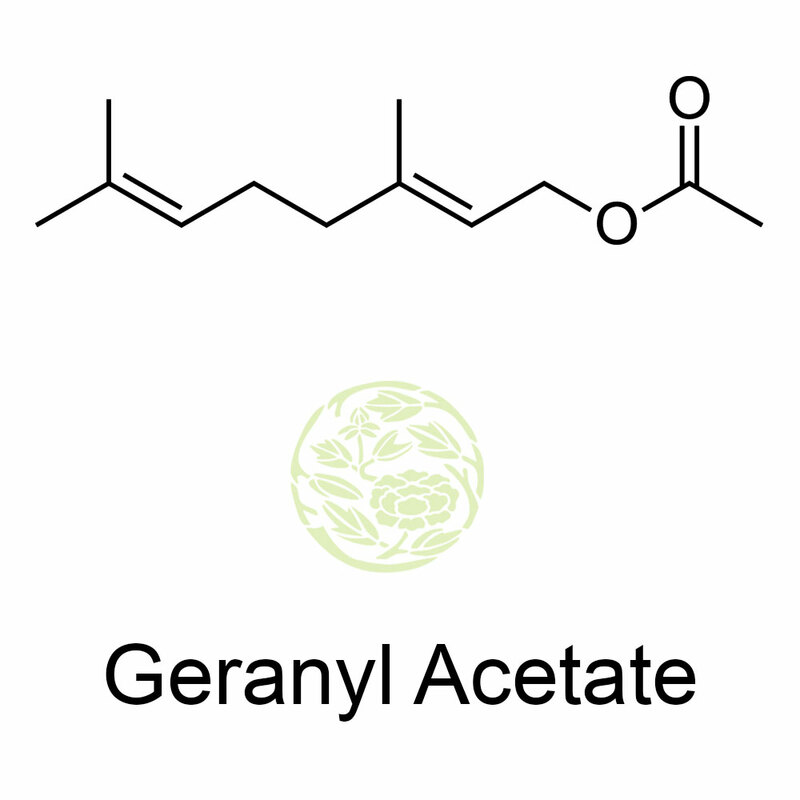 Geranyl acetate is mildly irritating on skin and eyes and it is aroma active rice volatile. Geranyl acetate is one of the components of the essential oils of Daucus carota L seeds.